A designer dress that also satisfies our sweet tooth? Yes, please. This latest Alexander McQueen-inspired gown combines two of our very favorite things: fashion and candy. 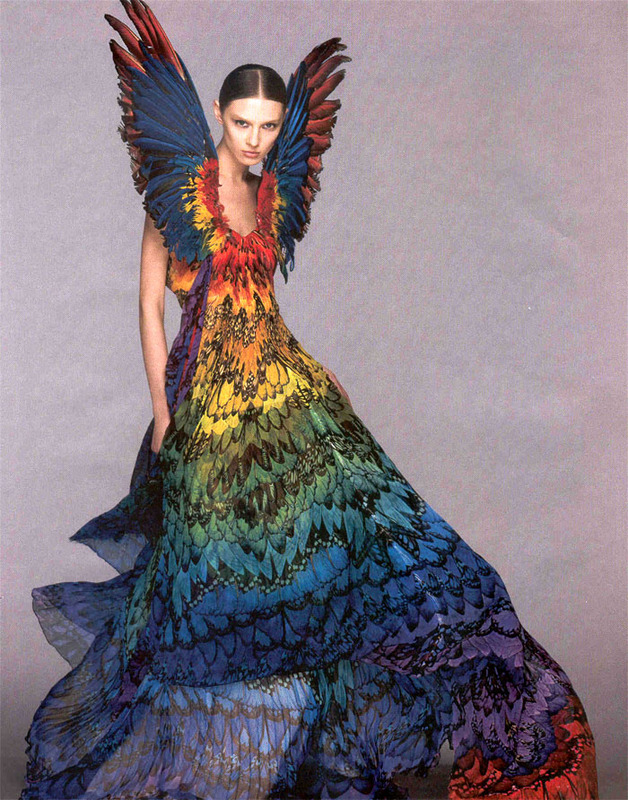 Made out of 50,000 gummy bears, the rainbow dress was handmade for TWELV Magazine's debut issue and weighs in at a hefty 220 pounds. It takes three people just to move the thing, so this is clearly not a dress you can go out dancing in. How exactly is a gummy bear dress made? First, steel wire is twisted to create the shape of the dress, then the mold is covered with a sheet of vinyl, and finally each gummy bear is painstakingly glued on in a chevron rainbow pattern. No surprise it took three weeks to finish this elaborate gown.